I was approached by a friend of mine who recently graduated from college and wanted to stand out from the crowd and get a step ahead of the competition when applying for jobs and internships. We discussed everything from the look and feel he wanted to have to which materials would be necessary at this point in his education / career. He is an intelligent southern gentleman who wanted to display those traits in a professional manner. My solution for his needs was to make a mark that would appear modest, but not bland with a touch of a conservative tone. Thus, choosing Baskerville to create his mark felt like a fitting choice. 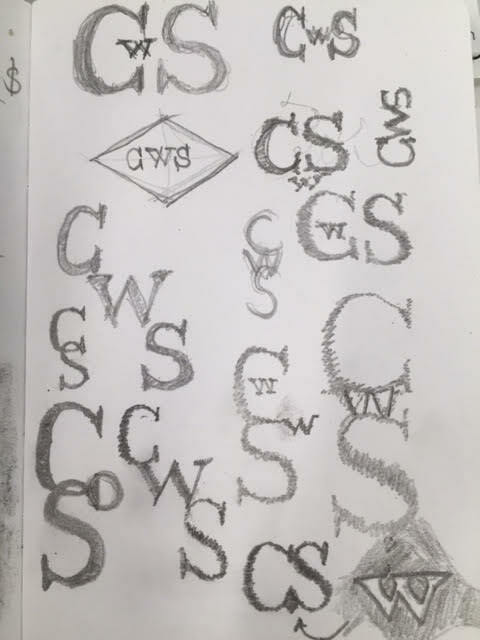 The CS monogram has slightly modified serifs for balance and connect with a single stroke. The circle is a nice added touch to give it a little warmth and friendliness but also looks like a stamp of approval and professionalism. The concept is finished with a grid system to position the monogram in the lower left hand corner of the print collateral, center within an invisible box that is outlined by where his name is flush right and secondary text/info is flush left aligned. In smaller documents like the business card just below it creates a square around the mark. The tension this created is visually interesting without being overbearing. This also helps to separate information from body text like in the letterhead example. 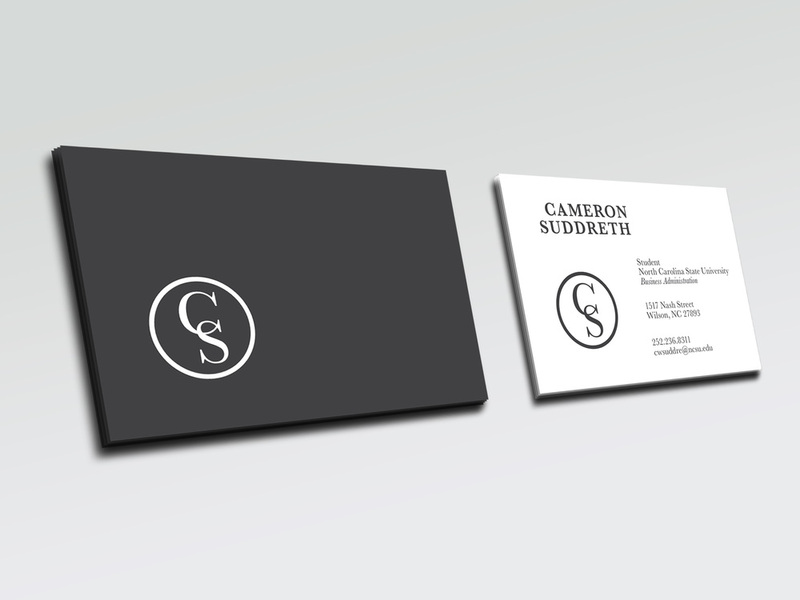 Keeping the color concept in a dark gray/white scheme keeps Cameron's printing costs down if he chooses to print some documents at home. Plus, it keeps the identity system simple, consistent and professional.